Is it me or did it appear that Canada Goose showed up everywhere? 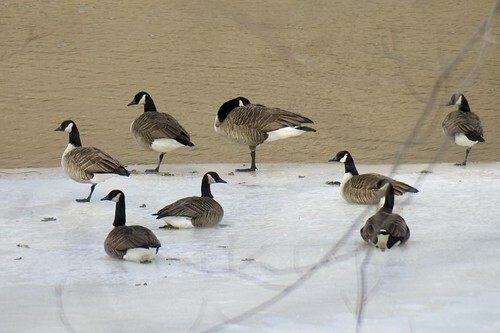 I saw a flock on the ice at Red House Lake . . . I saw a flock in the fields on my way home . . . . flying . . . !